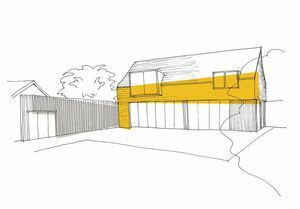 A contemporary cottage set in the Green Belt, within an area of outstanding natural beauty on the edge of the village of Old Sodbury. 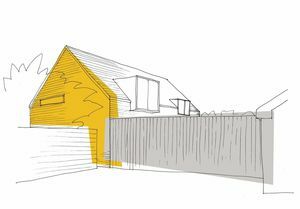 The new house sits within the garden of a larger house, owned by the clients, who want to stay in the area in a smaller house, designed for their way of life and making the most of the opportunities offered by the site. 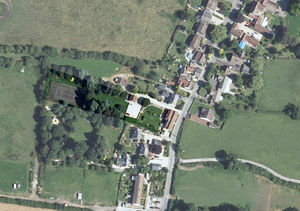 The location of the house has been defined by the 'settlement boundary' for the village forming a notional barrier beyond which no new development is allowed, under the planning restrictions of the Green Belt. 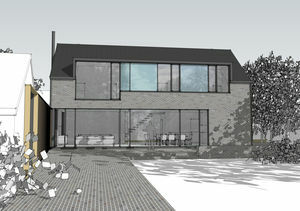 The house sits tightly against this boundary facing into the sizeable established garden beyond it. 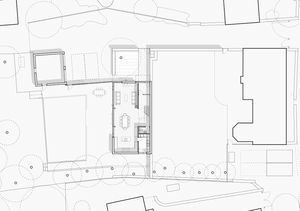 The remaining garden to the existing house is slightly reduced, though its light and privacy maintained by the design and orientation of the new house, setting it behind an extension of the existing stone garden walls and with a low pitched roof. 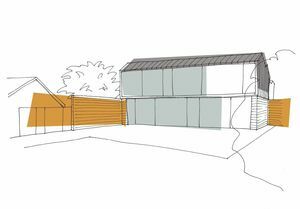 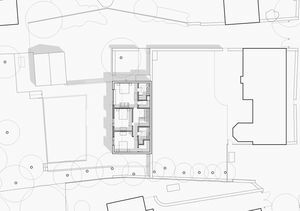 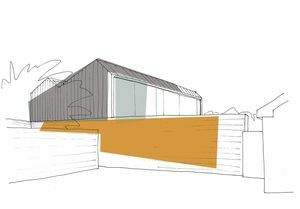 The building has been conceived to blend subtly into the context in its form and materials - totally private from and in keeping with the surrounding properties from the rear, but offering an open and contemporary elevation to the new garden, unseen by others. 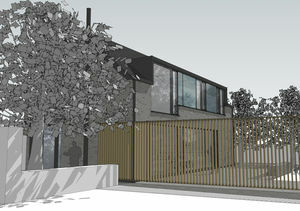 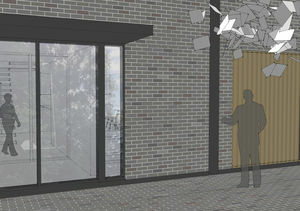 The ground floor comprises a single open-plan living space, with light brought into the back of the building through the stairwell and roof-lights above. The three bedrooms on the upper floor all face into the new garden, with large windows extending to the ceiling making the most of the natural light and views.